This page shows type specimen and in-use samples of Alio type face from R9 Type Design. 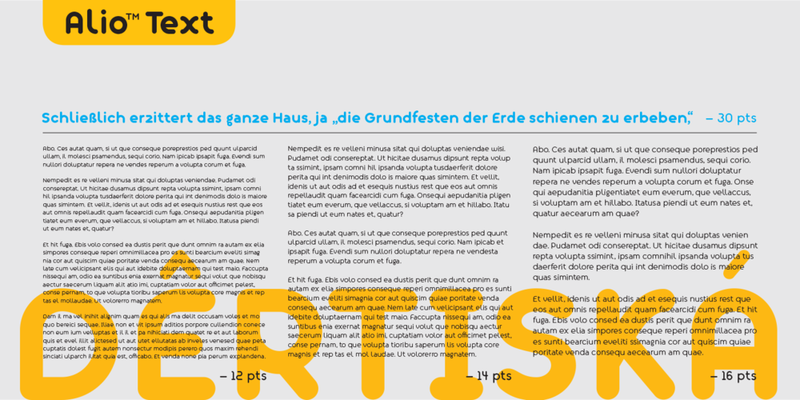 The above specimen was typeset entirely within one text box using the combination of Alio Pro and Alio Decor. This contemporary flourish ad headline was created with Alio Pro+Decor. Alio Pro+Decor fonts work well on posters, packaging, branding, display, etc. This flourish was created entirely with Alio Decor. Here's an Alio Pro + Decor design on a mustard jar. A flourish lettering design created with Alio Pro & Alio Decor. Love it. I want to buy Alio. Yeah, take me to your shop. Awesome. Let’s buy some fonts.